The city clerk has rejected Tom Cordier’s initiative petition. 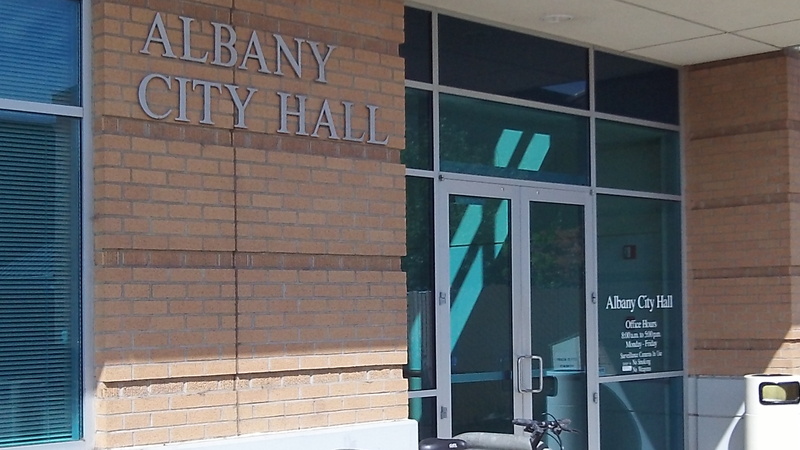 If North Albany resident Tom Cordier wants to pursue his idea of having voters decide on various city fees and taxes, he’ll have to go to court or rewrite his initiative proposal after the city on Wednesday rejected his first draft. City Clerk Mary Dibble told him in a letter that based on what the city attorney told her, his petition did not meet the requirements of the Oregon constitution. Specifically, the city asserts that the initiative “proposes to make decisions that are administrative rather and legislative.” Also, it says the proposal covers more than one subject, which the constitution does not allow. The city’s determination can be appealed to circuit court, and Cordier says he has until Aug. 7 to file. If people disagree with the City Council’s decisions on these matters, there is one sure-fire way to reverse them: vote the current council out. With Cordier’s initiative, one could conceivably get to a point where the city did not have enough money to sustain infrastructure (water, sewer, roads, etc…) because it could not get taxes or fees approved by the voters. Seems like a bad idea to me! If the voters want another check on this, vote Cordier onto the City Council! Hasso–thanks for your clarification above. It should stop the-sky-is-falling-crowd. Since time is on our side, we’ve decided we do not need to file now. We’ve decided to submit 6 new petitions today to find our way through the objections of the City Attorney. The 6 comes from a split between fees and taxes and then removing-all-existing, approving new and approving increases. I don’t think the ‘remove all existing’ would have much chance with the voters. The ‘approve new’ and/or ‘approve increases’ seems a better approach. Maybe this is a good point to do a little background on all this. These “franchise fees” charged by the city are rent for using public property that you, the residents, own. It applies to all utilities that use public property, in the same way these same entities pay for using private property. People who run businesses that rent our storefronts or offices often see the exact same thing. Often the landlord will require in their lease a percentage of sales. Sometimes it’s just a flat monthly fee. Often it can be a combination. So why do you see that charge on your bill? It’s because the utilities companies are not dumb. They had laws passed that allow them to show those charges, or a portion, because they want it to appear to be a tax. They bank on folks like Tom, or their PR agencies, to turn this into a “government vs the people” issue instead of just the normal cost of business like other companies face. Ask yourself if you would rent out a portion of your property for the next 10, 20 50 or 100 years without being compensated for it. After all, you still have to perform upkeep on your property from time to time. In the case of the city, the money it collects is overwhelmingly being used to fund police and fire services. Also, you don’t usually see this charge on cell phone bills. That’s because the cell phone companies generally locate their towers on private property, where they negotiate a contract with individual property owners for the best deal they can negotiate. And since most people use their cell phones for everything these days, the income from the regular phone service to the city has been going down. From last budget to this budget they went down 30% to $98,500. Back in 2004 income from regular telephone fees was $262,447. As I recall state law puts a cap on what cities can charge to keep things reasonable. The cap that I remember is 7%. So look at your bill, see that part that goes to the city, which will be about $7 for every $100 of electricity you buy. Then think about the rest of the bill. In the 2014 annual report PacificCorp reported NET INCOME (after taxes and expenses) of $698 million dollars, up from $682 million in 2013 and $537 million in 2012. Their top management team of A. Richard Walje, (Rocky Mountain Power – $1,951,312), R. Patrick Reiter (Pacific Power – $1,513,927), Michael G. Dunn (PacificCorp Energy – $1,504,074), Douglas K. Stuver (Chief Financial Officer – $725,023) and Cindy A Crane (Rocky Mountain Power – $958,868) received total executive compensation of $6,653,204. PLUS they have another $2,720,196 in other “incentives” on the books, depending on what the values of the stocks are when cashed out. That $6,653,204 of executive compensation in 2014 compares to the 2012 amount of $4,594,793 which is an increase of 69% over 2 years. Shareholder Equity, the value of the company owned by stockholders, was $7.3billion in 2011, $7.6 billion in 2012, $7.78 billion in 2013 and $7.76 billion in 2014. Why did it go down in 2014? Because they increased their annual dividend payouts from $502 million in 2013 to $725 million in 2014, an increase of $223 million dollars paid to stockholders. You see, the reason that Millersburg is considering taking over the electric utility is that they see the potential to have a much more dramatic long term reduction in electric costs for their industries and residents. And in Albany, a $2 a month increase in a $100 electric bill generates a “new taxpayer revolt” for what really isn’t a tax. And Tom was quite willing to dump over $5 million in money supporting police and fire until he was told, for the second or third time, that want he was trying to do wasn’t legal. So now it sounds like there will be 3, 4 or 5 petitions for you to sign. CORRECTION! the Executive pay increase of 69% above was incorrect – it was actually a 45% incr. I reversed digits in the original calc. $6,653,204/$$4,594,743 = 1.4479 or 45% more. It’s easy to quote “income” of large companies. Go look it up. It’s available on their website. All the words from Woods are BS. So we taxpayers charge rent to PP&L for placing their poles on our property. Then PP&L sends that money to City General fund. So –follow the logic here-why do I want to tax myself to allow PP&L to rent space. “So –follow the logic here-why do I want to tax myself to allow PP&L to rent space.”. Because Tom, that money comes back to Albany to do things for Albany residents. Cutting the fees will not reduce your bill. As a component of the operating costs of the entire company it is a blip that will just go in to their profit margin. Giving away the use of land FOR FREE is just plain stupid. It benefits the company alone and takes away from the owner, the people of Albany in this case. Public utilities DO NOT participate in the free market. They are regulated utilities who are essentially guaranteed a profit by the state. And that leads to a big game that the PUC has to deal with every time rate increase proposals are made. PacificCorp says they need a 20% increase to cover all their plans and costs. The PUC evaluates the numbers, looks at the plans and says “Whoa, the numbers you submitted only justifies 3% increase to stay within the profit margin we’re willing to allow.” So the PUC gives them a 3% increase FOR ALL USERS IN THEIR SERVICE TERRITORY IN THE STATE. What Albany as a city does is basically irrelevant. The costs go to ALL their customers, not just the people of Albany. I took the figures from PacifiCorp from their official audited SEC required annual filings. I didn’t make it up they way you do with all your specious pronouncements about things you only “feel” are true. When it comes to BS, I bow to you as the Jedi Master, Tom. How would the PERS pension plans, which are heavily invested in the stock market, perform if the shareholders weren’t “greedy”? A publicly owned company is beholden to its stockholders.